y-General’s presence—as a keynote speaker—at The Jakarta International Defence Dialogue, hosted by the Indonesian Ministry of Defence on 21 March 2012. “We would like Mr Ban Ki-moon to attend to our defence while he’s in Jakarta” said Herman Wainggai, the West Papuan independence advocate based in the United States. “The Indonesian government brands us as separatists, and then hosts international fora to escalate support for what it says are ‘non-war military operations’ against us”. 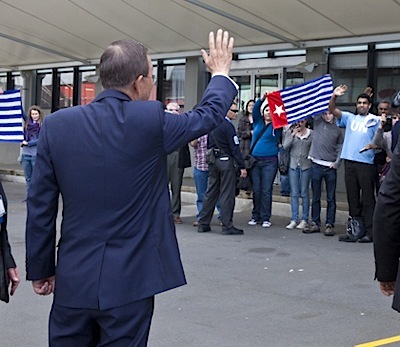 Forkorus Yaboisembut, President of the Federated Republic of West Papua, currently incarcerated, requests the Secretary-General to recognise the leadership of the Federated Republic of West Papua elected at the Congress in October in 2011. Edison Waromi, Prime Minister of the Federated Republic of West Papua, also incarcerated last week for another three years (he was also a political prisoner 1989—1999, 2001, 2002, 2003-2004) says the Secretary-General must actively insert himself into the West Papuan issue. Many international observers believe that Indonesian political fears, that their republic will dissemble in the face of West Papuan self-determination, is misplaced. “Holland didn’t fall over when Indonesia became independent, and neither will Indonesia when we do” said Wainggai. “Bali principles, Lombok treaties, Peace centres in West Java….these are all meaningless while Indonesia continues to escalate its troops and its judiciaries against us”. MELBOURNE, SORONG, BIAK, YAPEN WAROPEN, MANOKWARI, JAYAPURA , and FAK FAK. 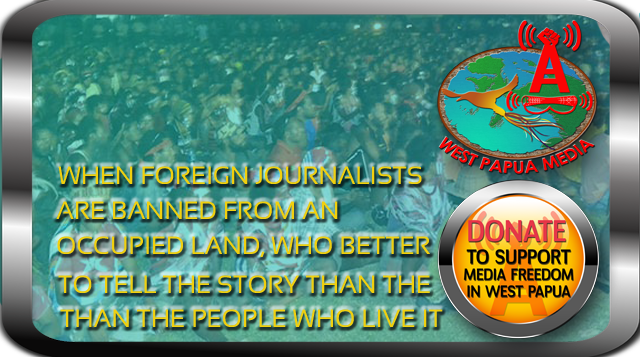 What is the UN’s stance now on the plight of the West Papuan people and their struggle to self determination? The UN’s stance is that they do not have a stance. That is the problem. They recognise that the Act of Free Choice was flawed deeply, and they have publicly acknowledged that. But they refuse to act on it. They recognise that heinous human rights abuses occur and all basic human rights are routinely and systematically denied to Papuan people, but they refuse to act on it. They recognise that the Indonesia state is destryoing the poeple, the culture, the scientific wealth, the natural resources, and Nature itself in Papua… but they refuse to act on it. And of course the number one principle of human rights, inalienable universal human rights: the right to slef-determination – it stays completely and utterly silent. And after all, Silence is a DEEPLY political act. The trouble is, the UN is made of egregious regimes as its members, just as much as high minded talk about universal rights. It really will not deliver liberation on high, but through the actions of the people, It CAN be forced to act.